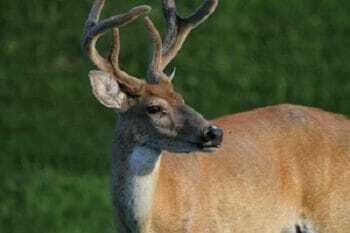 The Maryland Department of Natural Resources announced today that the second segment of the muzzleoader deer hunting season opens Dec. 15 and runs through Dec. 29, 2018. Hunters may use muzzleloading firearms to harvest sika and white-tailed deer during this season. Hunters are encouraged to consult the Maryland Guide to Hunting and Trapping for recent changes to bag limits, registration procedures and regulations. During muzzleloader season, Maryland requires deer hunters and their companions to wear daylight fluorescent orange or fluorescent pink in one of the following manners: a cap of solid fluorescent; a vest or jacket containing back and front panels of at least 250 square inches of fluorescent; or an outer garment of camouflage fluorescent worn above the waist and containing at least 50 percent fluorescent color. Hunters should carefully inspect all tree-stands and always wear a full-body safety harness while climbing in or out and while in the stand. The department strongly recommends using a sliding knot, commonly known as a prussic knot, attached to a line that is secured above the stand that allows the hunter to be safely tethered to the tree as soon as they leave the ground.